Flowers have been an obsession of mine lately. 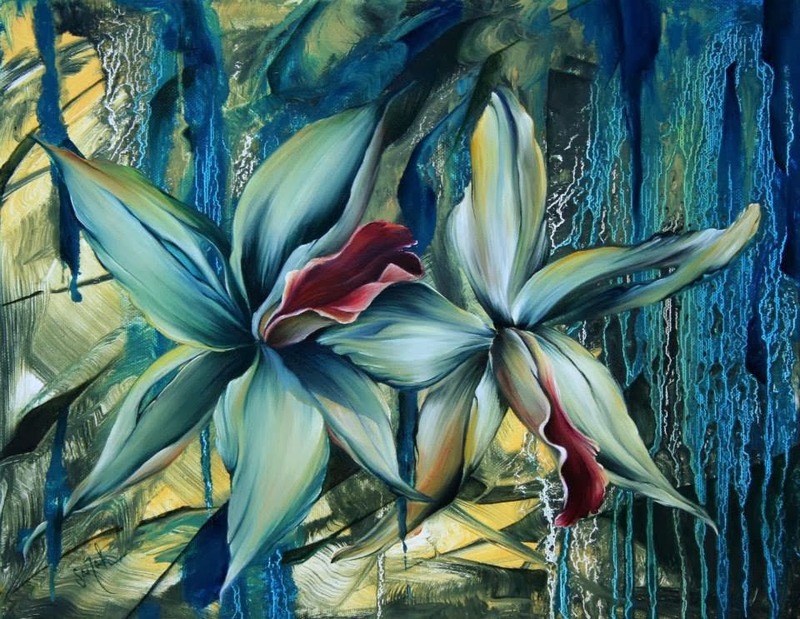 So, when I met local artist, Sarah Janece Garcia on the On/Off Fredericksburg Road Studio Tour in February, I could relate to her fascination with floral imagery and was immediately drawn to her work. She displayed her paintings at Blanco Studios during the tour as a visiting artist, so I had a chance to speak to her about her work and was impressed by her passion and dedication to her art. "Growing up I always surrounded myself with nature, and I can remember being so perplexed that plant life continues to thrive through the elements this world places on them. The idea of something growing with love and proper care spoke volumes about what the world needs and what we all need as humans. To truly examine a flower is looking close into a marvelous creation that has so many components, complexities, and needs - to me that describes us as humans also. A flower can change one's mood in an instant. These beautiful creations of nature are used for every event in one’s life whether it is a happy occasion or a somber one. 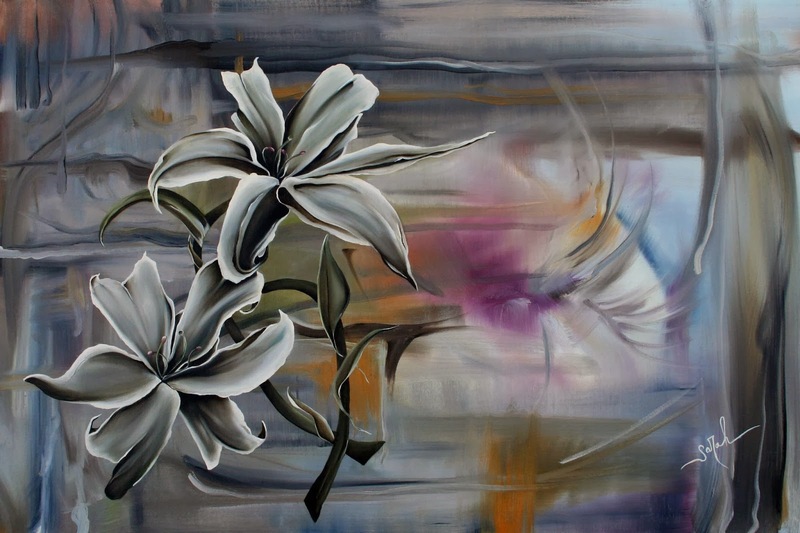 The dichotomy of a flower being so soft and delicate yet possessing such strength is what inspires me to want to paint them every time I sit in front of my easel." 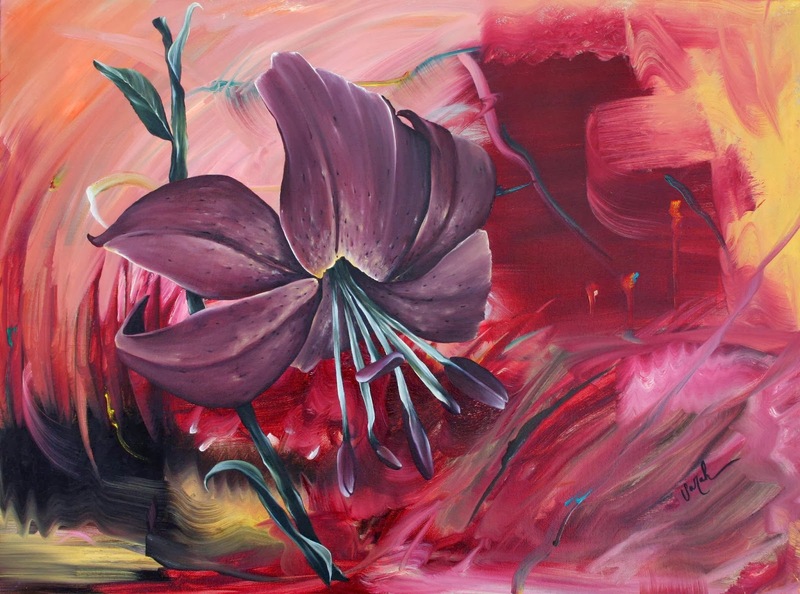 The flowers are truly the focus of each painting, drawing the viewer's eye to their refined and elegant presence. Garcia pays close attention to the details of each flower, beautifully capturing the variations of colors on each softly curling petal. In doing so, the flowers imbue a calming presence against the expressionistic background from which they seamlessly emerge. As Garcia explains, "To me life is never one thing at one time and therefore I never want my art to be. All the perfect imperfections in this world can combine to make beauty and that is what I like to examine in my work." Garcia has been a featured artist at various local galleries along South Alamo for First Fridays, The King Williams Fair at HeArt House Gallery, and at Bihl Haus Arts for The On and Off Fredericksburg Road Tour. Most recently, one of Garcia's paintings, Wonderment, was selected to move to the final round of judging for the 2014 Hunting Art Prize and will be displayed at the Hunting Art Prize Gala in Houston. To contact Sarah or see more of her work, visit her Facebook page or head out the RAW: Natural Born Artists, San Antonio Mosaic exhibition on March 27, 2014 where Sarah's work will be featured.